The non-profit organization Microb&co and the Microbial Ecology Section of the Italian Society of Ecology (SItEMICRO) organize the course and the logistic issues, with sponsorship provided by CNR-ISE, SItE- Società Italiana di Ecologia and CINECA. n.1 international speaker lecture. Topic: history of sequencing. Hands on-theory on Assembly and Practical Session. n.1: Roundtable: planning project based on metagenomic sequencing. Binning Theory and Practical Session. n. 1 international speaker lecture. Topic: Case study on application of metagenomics data. Annotation Theory and Practical session. Excursion with the whole group + brainstorming session and roundtable. Mariangela Girlanda is associate Professor at University of Turin, (Italy). 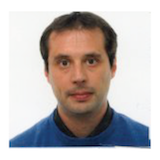 Roland Marmeisse is a CNRS senior research scientist at the Microbial Ecology research laboratory of the University of Lyon (France); he is also an invited researcher at the University of Turin in Italy. His main research topics deal with functions performed by communities of eukaryotic microorganisms (fungi, ‘protists’) in soil and how they are impacted by plant cover and ecosystem disturbance (soil pollution, climate change). Targeted functions encompass plant organic matter degradation, soil nutrient cycling and resistance to pollutants. To track microbial activities performed in soil he has developed and implements environmental genomic approaches (metatranscriptomics) specifically targeting eukaryotic microorganisms. 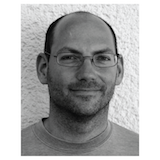 Jean-François Flot studied biochemistry in Nancy, Paris and Stockholm before moving to Okinawa (Japan) where he completed a MSc in marine sciences in 2003. He obtained his PhD in molecular systematics in 2007 from the Muséum national d’Histoire naturelle in Paris, then did postdocs in Göttingen, Namur and London until joining the Université libre de Bruxelles in 2015 as an associate professor. His research interests include (meta)genome assembly, comparative genomics, bioinformatics, experimental evolution and molecular approaches to species delimitation. Ilario Tagliaferri received the MSc in Biology from the University of Milano-Bicocca in 2013. From 2014 to 2016 he worked as a recipient of scholarship in University of Milano-Bicocca in the field of environmental microbiology. 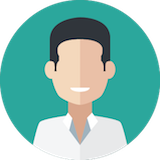 From 2016 he works in CINECA as a bioinformatician. CINECA is a non profit Consortium, made up of 70 Italian universities, 8 Italian Research Institutions and the Italian Ministry of Education. Today it is the largest Italian computing centre, one of the most important worldwide. It develops advanced Information Technology applications and services, acting like a trait-d’union between the academic world, the sphere of pure research and the world of industry and Public Administration. Maurizio Cremonesi received MSc in Mathematics from the University of Milan in 1984. 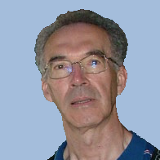 From 1984 to 2012 he worked in CILEA on supporting activities and projects relevant to high performance computing. From 2012 he is working in CINECA, that incorporated CILEA and CASPUR. His main activities include developing and optimizing Fortran and C programs on high performance clusters, teaching and organizing parallel programming courses and conferences, supporting users in installing codes and optimizing programs for parallel computing environments. The 8ICME has a practical approach as in the tradition of the International Course in Microbial Ecology. Participation is limited to 20 PhD students or early career researchers selected on the basis of their CV and motivation letter. The registration fee is 480 € per person and covers the full participation to all the course activities and social events, lunches, tutorial material, lectures and protocols of the applied methodologies. Fill in the form to the right to subscribe to the 8ICME mailing list. 8 May. Notification of acceptance – 22 participants were selected from all over the world! 6 June Payment of the registration fee. The course treats issues in cutting-edge research fields with a strongly practical-oriented approach and it is actually eligible for recognition of educational credits by different university and institutions. We usually provide a detailed letter with the program, topics, hours of theory and practice so that the participants can discuss it with the person responsible for the ECT System at their own university. The letter is signed by the President of Microb&co for the administrative aspect and by the Scientific Director of the course for the scientific content. Basically one European Credit point equals on average between 25 and 30 working hours; the range indicates that the credit points are decided at national level. The ICME last 4,5 days with 8 working hours per day which means a total of 36 hours. 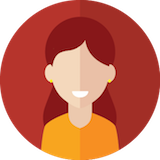 A smart way to assign credits to the 8ICME course, would be to compare it with some other courses provided at your institution which has an established amount of EC; this apparently works fine for supervisors to identify the right number of credits. Write to info@microbeco.org for more information. 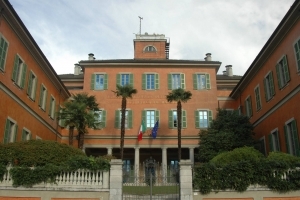 The Institute is located in Verbania- Pallanza: you need a combination of different transportation systems. Airports Milano Linate(110 km, LIN) or Bergamo (145 km, BGX). From Linate o Bergamo Airport take local transportation (city bus, coach) to Milano Centrale- Train station and from there catch a train to Verbania-Pallanza. Airport: Basel, Geneva, or Zurichairports. Then take the train to Verbania-Pallanza. Verbania station is on the Simplon Line, connecting Milan to Geneva, Basel and Zurich. Direct fast trains from many German, French, Belgian and Dutch cities reach Milan through the Simplon and usually stop in Verbania-Pallanza or Stresa. Trains from Milan Centrale and Milan Porta Garibaldi to Verbania or Stresa are scheduled every hour during daytime. Timetables and tickets available either on www.trenitalia.it (Italian Railways), on www.sbb.ch (Swiss Railways) or on the webpages of French and German Railways. If you stop in Stresa you can reach Verbania-Pallanza by a coach service of SAF company or by boat of Navigazione Lago Maggiore. From Verbania Train Stiation, to the CNR- Institute of Ecosystem Study in Verbania-Pallanza you need to take the bus VCO TRASPORTI (route Omegna -Verbania ). You can buy ticket at the train station in Verbania or directly in the bus. The nearest stop to the Institute is Piazza Gramsci- Verbania Pallanza. Ask the driver to indicate you the Institute. 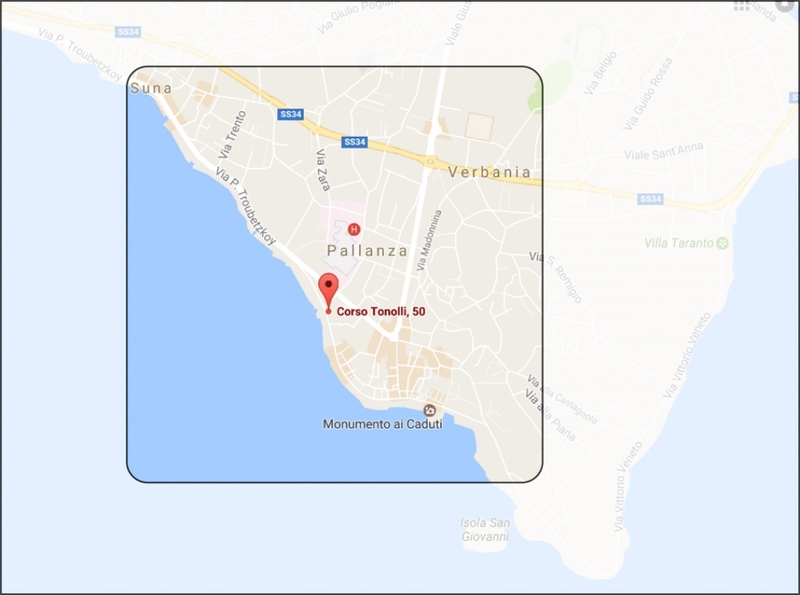 While seeking accommodation in Verbania you are advised to restrict your search to the areas names Suna and Pallanza (not Intra). The position of the institute (Largo Tonolli 50) is marked on the map below. You should make sure that it is reachable by foot, since public transport is not very reliable in Verbania. Basically, the whole area on the map is fine. One of the best solutions would be to group together and search an apartment in the area. If you are interested in doing so we can put you in contact with other participants. There are also hotels in the area, which might, however, be costlier. Keep in mind: areas names Suna and Pallanza (not Intra)! If you are unsure about the location of a place, please contact us and we will get back to you asap. The CNR-Institute of Ecosystem Study in Verbania focuses its basic and applied research activities in the field of water and land ecosystems and it is involved in understanding how ecosystems react to the impact of global climate change and anthropogenic pressure. Its main objective is to generate the scientific knowledge that must precede any protective and corrective measures on the environment.